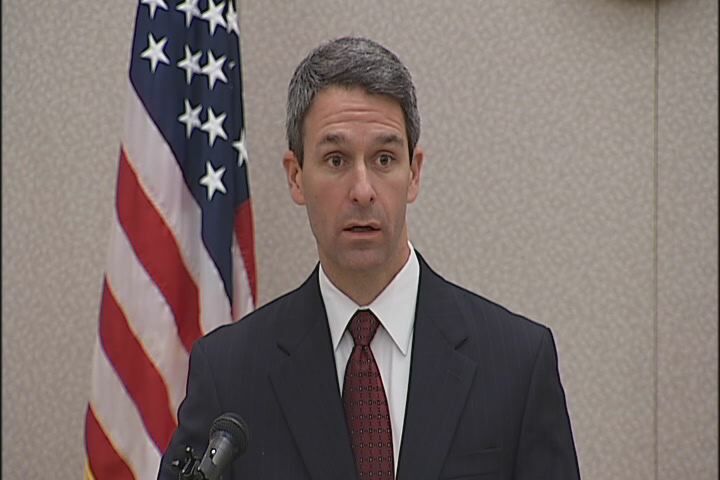 ***PROGRAMING NOTE: Attorney General Ken Cuccinelli will be my live guest Tuesday on NBC12 First at 4. First at 4 can be seen on NBC12- TV and streamed live at nbc12.com. It was a big win for Attorney General Ken Cuccinelli. The Republican learned Monday that Federal Judge Henry Hudson ruled in favor of the Commonwealth of Virginia, by rejecting a motion to dismiss the controversial challenge to the Health Care Reform Act. The general details of today’s ruling can be found in my story on NBC12.com. But while both sides involved the legal effort made their statements expressly based in the law, make no mistake this is a fierce political battle. A battle that both sides are waging in an almost underground fashion. For Republicans this is a story they have been subtly pushing for several weeks. A key tenant to the Justice Department’s argument is that the commerce clause allows the Federal Government to collect a “tax”. Therefore the feds are well within their purview to render a “penalty” to those who don’t buy health insurance. Mandating the purchase of health insurance is the very argument Ken Cuccinelli is fighting against. He calls a dramatic overreach of government power. The Justice Department lawyers say not so fast. The Federal Government has long had the right to collect funds from its citizens. Whether it is a “tax” or a “penalty” is immaterial. The Justice Department lawyer arguing the case called it “two sides of the same coin”. So is it a tax or not? While Republicans spin the tax yarn, Democrats are connecting an intricate set of dots to tie Ken Cuccinelli to the presiding Judge in the case Henry Hudson. As reported in the Huffington Post, right around the same time the decision came down, Hudson has an investment in a Republican consulting firm that has Cuccinelli as a client. Hudson’s minor investment has turned into a significant return and Democrats pushed that connection back to the Attorney General. According to financial disclosure statements, Hudson has stock worth between $15,000 and $50,000 from Campaign Solutions Inc. It’s founder has ties to major GOP dealmakers. Cuccinelli has spent around $9,000 with Campaign Solutions. For his part, Cuccinelli said he was unaware of the tie and in his mind, it or Hudson’s Republican background have nothing to do with the way he decides cases. So is there a tie? Will it have anything to do with the credibility of the case moving forward? Both sides are spinning. Which one will you buy? And more importantly, will it have any impact on the outcome of the case? The eyes of American will be on Richmond Thursday as lawyers for the Federal Government make their case to a District Court judge that Virginia’s challenge to the Health Care Reform Act should be tossed out. Attorney General Ken Cuccinelli filed the lawsuit not long after the historic bill was passed on the grounds that the feds cannot force Virginians to purchase health care. The suit is similar to a dozen or so other cases across the country. Virginia’s however, was one of the first to be filed and this will be the first arguments heard in a court of law. Cuccinelli will not argue the case, but is expected to be in the courtroom. The arguments will be handled by Virginia Solicitor General, E. Duncan Getchell, Jr. The presiding judge for the hearing is Henry E. Hudson. The outcome of this hearing won’t make Cuccinelli’s crusade against health care reform, but it could easily break his case. If its tossed out before it really gets going, it could be form a ripple effect amongst all the similar cases being filed across the country. I will be in the courtroom tomorrow for the hearing and will have reports tomorrow on NBC12-TV and extended coverage here on Decision Virginia. The Obama Administration has filed a motion to dismiss the lawsuit filed by the Commonwealth of Virginia to stop the implementation of the federal health care reform plan. The motion, filed on behalf of Health and Human Services Secretary Kathleen Sebelius argues that the Federal Government was well within its rights to mandate the purchase of health insurance to its citizens, because of powers given in the Commerce Clause and with the Congress’ taxing authority. Of course, it is a very different interpretation of the Commerce Clause that Attorney General Ken Cuccinelli references when he argues that the Obama Administration is overstepping its bounds. Cuccinelli’s office has until June 7th to respond. The Obama Administration will then get the final say on June 22nd. It will then be in the hands of a Federal Judge, in a Court known for its quick work. Virginia Governor Bob McDonnell‘s optimism has not appeared to waver at all in his first few months in office. McDonnell remains steadfast in search of his pre-election goals despite facing the adversity of a difficult budget process and a highly polarized political climate. 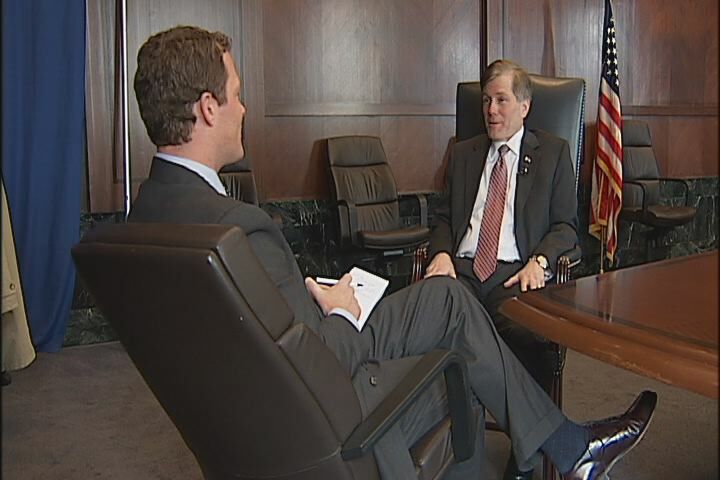 I sat down with the Governor today for a lengthy interview about these challenges and how he would judge his progress on the lofty goals he has set for himself. Here is a recap of some of the topics that we discussed. Beyond the implementation of the policy itself, the Governor spoke at length about his concern over the level of discourse surrounding health care and politics in general. While he said that he “understood the frustration” of people upset about the direction of the country, he said that violence was never an option. Those threats came very close to the Governor, when the FBI announced the arrest of man with plans to kill his friend and fellow Republican leader Rep. Eric Cantor. Here is an excerpt of what the Governor had to say about the volatility connected to the political discourse in America. The one thing McDonnell promised the most on the campaign trail no new tax increases. A daunting pledge in the face of a horrendous budget picture. He stuck to that pledge, but was forced to add an additional $2.2 billion in cuts on top of $2 billion already proposed by Governor Tim Kaine. The cuts hit in many quality of life areas, such as education and health care. Teachers are facing bigger class sizes and programs are going away all together. In some communities, teachers have been responding by doing exactly what is required of them by their contracts with their districts. That strict interpretation of their responsibilities has made life difficult for parents and students. The Governor told me that is not the way he is hoping government employees respond to this crisis. Of course McDonnell is hoping that this budget crisis, brought on by an economic crisis won’t be permanent. The Governor was successful in passing through a number of legislative initiatives that he hopes will help the Commonwealth attract new business and by an extension jobs. One of the employers the Governor is hoping to attract is the monster government contractor Northrup-Grumman. The company is planning to relocate its headquarters from California to somewhere in or around Washington, D.C. by the end of 2011. McDonnell is still holding out high hopes that their final decision will be Northern Virginia. Much has been written not only in the Virginia press, but nationally about the relationship McDonnell has with Attorney General Ken Cuccinelli. Cuccinelli has taken a number of controversial stands on the issues of the day. Many political pundits have speculated that Cuccinelli’s bold work as Attorney General has rankled McDonnell, who has worked hard to paint himself as a common sense, center-right moderate. McDonnell said, there is nothing to these reports and that his working relationship with Cuccinelli couldn’t be better. Virginia Democrats stepped up their attacks on Attorney Ken Cuccinelli‘s lawsuit against the federal government regarding health care. The Democratic Party of Virginia filed a Freedom of Information Act (FOIA) request to get a list of the expenses the AG’s office is mounting in waging this legal battle. Not surprisingly, the Attorney General is not jumping at the chance to comply. Cuccinelli said that all he is doing is “defending the constitution.” He said he has nothing to respond to, because all of the work that was done on the lawsuit was done inside the Attorney General’s office. He said his only response to the FOIA request was the $350 it cost to physically file the suit. While Cuccinelli was defending the cost associated with the suit, Governor Bob McDonnell himself broke in and offered a unique perspective from his time as Attorney General. He said the Democrat’s claims were nothing more than a “complete straw man and hollow argument.” He said that he and Governor Tim Kaine worked together to file suit against the Bush Administration, and no Democrat, or Republican for that matter, ever voiced concern. On the other side of the argument, Democratic Senator Donald McEachin, an attorney himself and a former colleague of Cuccinelli pointed out that the lawsuits the Attorney General chooses to persue are relevant and that taxpayers deserve to know how much of their money is being spent. The DPVA gave the Attorney General’s office a very specific list requesting the cost of the actions regarding this lawsuit. It appears that if they are serious about learning the information, they may need to go to court themselves. 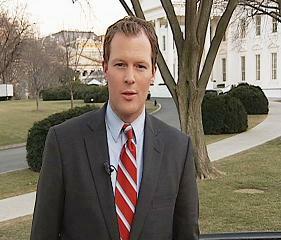 See more: You can watch and read my story from NBC12 news at 6, by clicking here. Today (Wednesday) Virginia Republicans and Democrats will draw stark distinctions about where the two sides sit in the raging national debate over health care reform. 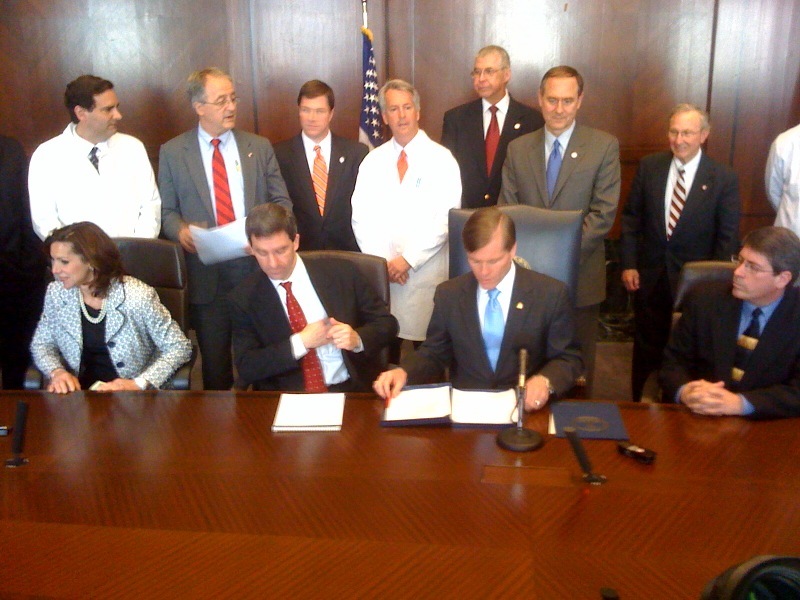 This afternoon Governor Bob McDonnell will sign into law the “Virginia Healthcare Freedom Act Legislation”. The bill was passed with bi-partisan support by the General Assembly during this past legislative session. It attempts to make mandated health insurance illegal in Virginia. The mandate is a key part in President Barack Obama‘s health care reform plan. The new law is also a cornerstone of Attorney General Ken Cuccinelli‘s lawsuit against the federal government regarding the implementation of the health care plan. A few hours prior to the Governor’s event, The Democratic Party of Virginia will hold a press conference designed to attack the Attorney General’s legal action. The event will feature, Sen. Don McEachin (who I spoke to about this issue on Monday) and Del. Jennifer McClellan as well as “Virginia taxpayers affected by health care legislation”. Not surprisingly, even though many Democrats in both houses supported the bill McDonnell is set to sign, both McEachin and McClellan did not. These two events perhaps best demonstrate the great divide on this issue. There is not much middle ground and both parties seem to be running to the safe ground of their motivated bases. We will have complete coverage of the dueling events tonight on NBC12 News start on First at 4. I will also have more later here on Decision Virginia.